Dog cake frosting hardens and dries smooth! 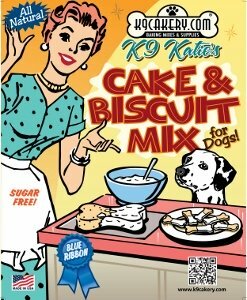 There is a special dog cake frosting created specifically for a dog's digestive system. 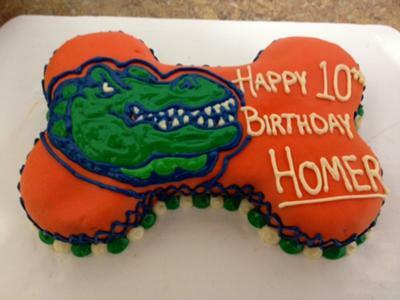 Now you can decorate dog cakes in style! 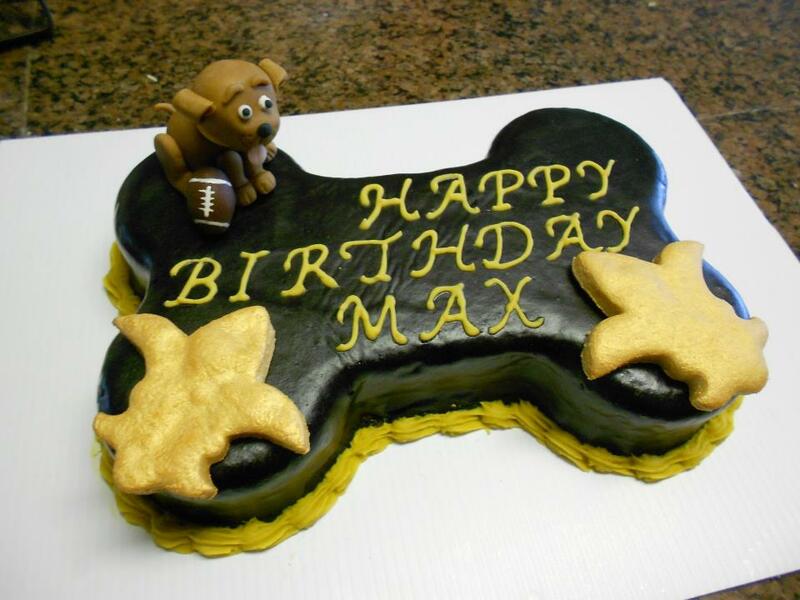 The dog cake featured above was made by 12 Paws Barkery and decorated using Fido's Frosting brand dog frosting. Dog bakeries used to make icings or frostings for pets by heating up yogurt chips, or candy melts. The melted mixture would be poured over the treats or cakes. The problem with yogurt coating chips, as we discuss, is that they really aren't "yogurt". There may be some yogurt in them, but the main ingredients are sugar and fat. Candy coating chips are mainly fat and sugar as well. They are still available on the market but you will have to do some research to find them. That is because bakeries have moved away from using them. The fat and sugar in the chips has to melt to be able to get a mixture that can be spread. A huge problem arises for people who live in warm climates. When it's hot outside, the yogurt chip frosting "heats" up and starts to melt. 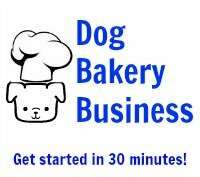 For this reason, dog bakeries and dog treat businesses would not even attempt to ship their products, and had been hesitant to sell them because as soon as the customer would leave the air-conditioned store, the icing would melt. Thanks to the Fido's Frosting brand of dog treat frosting, this is no longer an issue. It is very easy to use. All you have to do is add water and stir. It won't melt. You do not have to refrigerate the cake because the frosting is not perishable. Dogs are carnivores. Too much dairy can cause bloating and gastrointestinal distress. Magifrost frosting is made with tapioca and is therefore dairy-free. There is a difference between frosting and dog treat icing. The frosting is thicker in consistency and is the better choice for piping decorations like stars and shells and spreading over a cake. It will dry hard and firm like a shell over the cake. It will be smooth in appearance. It will give a thicker coating to dipped treats as well. Use it to write names or messages. 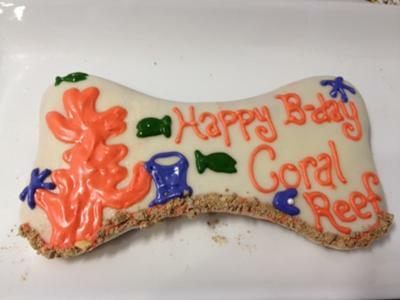 Choose dog treat icing to flood an area with color. It will dry with a shiny, glossy l0ok.